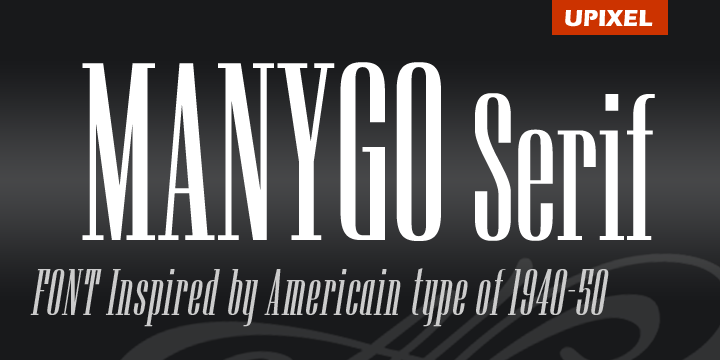 Manygo Serif is a typeface created by Michel Troy and publushed by UrbanPixel in 2012. This font was inspired from Americain type in 40’s and 50’s. A font description published on Tuesday, November 6th, 2012 in Fonts, UrbanPixel by Alexandra that has 3,962 views.